We supply a wide range of adjustable beds and electric beds including the Sherborne "Dorchester" & "Hampton" range of electric adjustable beds. As a retailer the company was formed by Mr. Cliff Haynes in 1967, and we are still a family business with Peter Haynes now managing the store in Burton on Trent and the companies range of websites. Over the years Haynes Furnishers has always supplied a wide range of furniture of all styles and designs, however the one consistent factor across all these ranges is that quality is always of upmost importance. Customer service is always upmost in our minds and we offer the best after sales service possible. This is why we have customers from our very earliest days who still come back to us now, more than 45 years later. www.haynesfurnishers.co.uk - Our main site showing all manufacturers of upholstery, cabinet, dining & occasional furniture from including Parker Knoll upholstery, G Plan furniture, Duresta upholstery, Ercol Furniture, Vale furniture, Bridgecraft upholstery, Cintique furniture, Sherborne suites, Nathan cabinets, Sutcliffes dining furniture, Old Charm collection and many more. www.furniturebrands4u.co.uk - Old Charm furniture, Nathan furniture, Ercol furniture, Sciae furniture, Sutcliffe furniture, YP Country House, Simonyx, Origin Red furniture ranges in oak, teak & mahogany. Many different cabinet pieces from dining suites, wall cabinets to TV cabinets, coffee tables & nests of tables. Also upholstery from G Plan Upholstery, Cintique Furniture, Relaxateeze & Relax Seating. 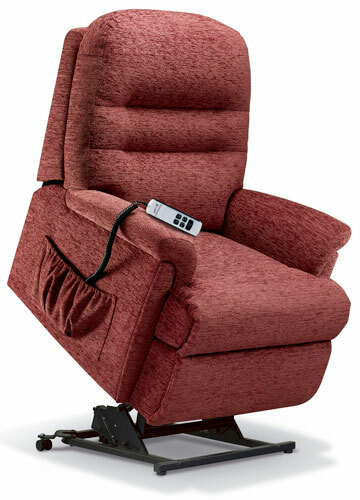 www.recliners4u.co.uk - Sherborne electric riser recliner chairs in fabric & leather. Dual motor & single motor lift & rise recliners with quick free delivery & assembly with our delivery teams across mainland England & Wales. www.adjustablebeds4u.co.uk - Sherborne Adjustable beds & electric riser beds with different mattresses from sizes 2'6" wide up to king size. Adjusting beds with free delivery & assembly throughout mainland England & Wales.